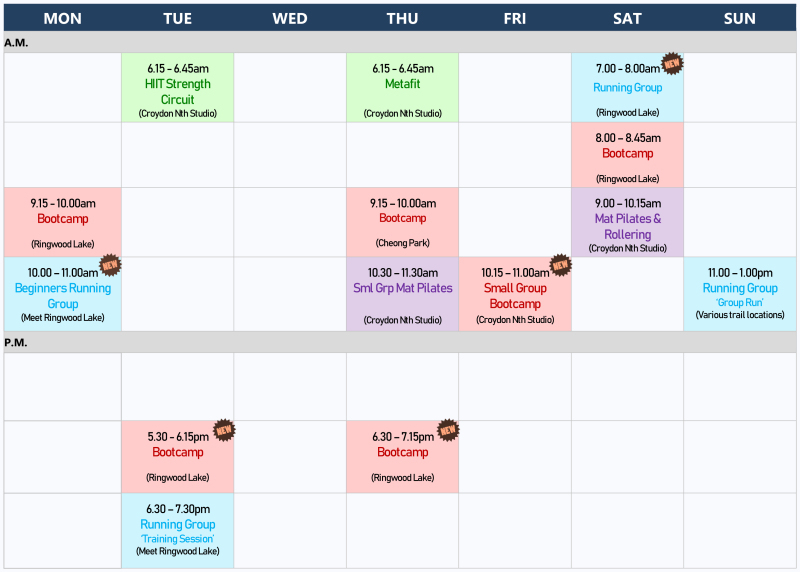 Our group fitness classes and running group sessions are growing! Are you a busy mum and want to get fit? Do you need to fit your fitness in around school drop off? Well, good news! We are starting two new 9.15am classes - on a Mon and Wed! Plus, we're introducing two new early evening sessions - Tues 5.30pm and Thurs 6.15pm. AND, two new running group sessions on Mon and Sat. For a description of these sessions click on the Classes and Running tabs at the top of the page. AYB Runners is proud to announce that we are now an official ambassador to help raise awareness and funds for PTSD and mental health issues for the Fighting PTSD VicPol campaign. The campaign was set up in 2016 by Glenn, a Victorian Police member himself. He has seen first hand how the job affects many VicPol members and their family through stress, and even worse, suicide, and he wanted to do what he could to help. And so he set up the Fighting PTSD VicPol campaign, got his fitness gear on and starting raising funds via running and triathlon events. His aim was to raise over $30,000 towards hospital engagement and to create a much needed specialised emergency services PTSD clinic. Over the course of the past couple of years Glenn, and his growing band of supporters, have raised beyond that amount, working with The Blue Ribbon Foundation. And this year he has plans to increase that figure even further! On a personal note I too have seen how PTSD can affect family. I have a close family member suffering from PTSD and it affects not just himself but the entire family as well. And it is at times devastating. Heart-breakingly so. However, I am also proud to be able to say that we have several members of the Victorian Police in our running group and I know how hard they work to keep us safe. And now it is our turn to help protect the protectors. So, in support of this great cause you will see a lot more posts from me about this and my aim is to help raise another $5000 for the campaign. 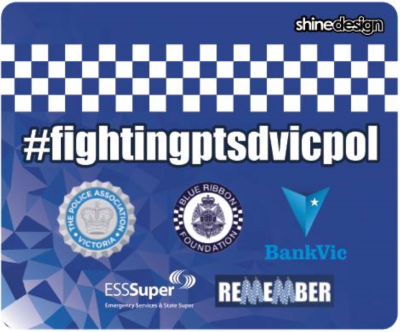 We will be supporting the campaign (#fightingptsdvicpol), raising awareness on the AYB Facebook pages, entering running events and raising funds for the campaign. I will also be putting on specific events at AYB to raise funds further. Most importantly, I hope that what we are all doing helps increase awareness of this important issue. No one should feel like they are alone an can't ask for help. It's not always as simple as that but if we can reach out in even the smallest way to those who are protencitng us then hopefully we can help make a difference in their lives too. This year on our running calendar AYB Runners will be participating in a number of events and I am honoured to have been invited by Glenn to help co-host several of them for the campaign. So, I hope you will help me help make a difference. And please keep your eye on our pages for extra events as they get added to the running schedule. At AYB (Achieve Your Best) Fitness I want to help you be the best version of you that you can be. I will support and motivate you in your individual fitness goals to achieve a healthier lifestyle. Whether that be to get fitter, get stronger, eat healthier, strengthen your core, overcome or prevent injury, become more flexible, running further and faster or simply functional strength. I will help you manage obstacles and stay on track. I'm here to help you get fit and achieve your best. The AYB Fitenss Studio is located in Croydon North where personal training sessions and small group sessions, including pilates, are held. Group sessions are ourdoor in the summer months and held in Croydon and Ringwood, and the Running Group meets at Ringwood Lake and various outer eastern locations for the Sunday run. Contact me today to find out more about any of the services offered. Join the AYB mailing list and recieve a regular newsletter packed with info, articles and tips on health and fitness. 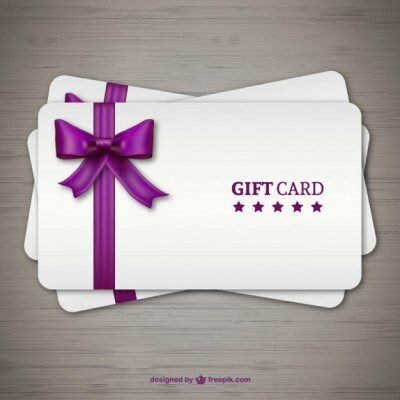 donation for your charitable event. We know how hard fundraising can be so we make it easy for you to put on a super fun event and make some money. 'Abi has been instrumental in helping me achieve my goals. I have lost 18kg and maintained the weight loss for almost two years now. And I am fitter and stronger than I have been in my whole life. I initially joined the AYB running group and quickly realised I needed to get stronger to be able to run better. I felt the idea of finding time to exercise and prioritise MY health was impossible as I had two children under 3 at the time when I started. But Abi was encouraging and supportive and helped me develop a schedule of sessions - PT, group training and running - that fitted around the unique needs of my family. 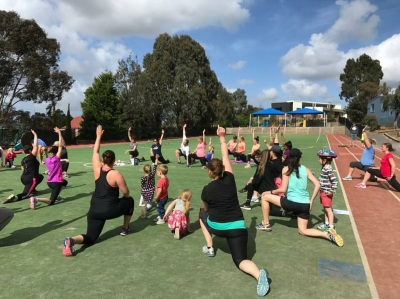 My children who fondly refer to her as 'Abi the exercise lady’ love participating in both my sessions and the children’s athletics sessions. Abi has a unique ability to understand both your goals and the things that ‘get in the way’ but she keeps motivating you to stay on track to achieve your long term goals. I feel like Abi is always in my corner believing in what I can achieve, sometimes even before I think it is possible. 'Three years ago I was unfit, overweight and unhealthy with expensive but failed gym attempts behind me. I have never been inspired to work out; it was boring and sometimes intimidating. and fitness. I see her 3 times a week for sessions of strength, cardio and pilates. I have lost 20kgs but more importantly I have never been stronger or healthier since my early 20's. Abi prepares a plan for every session and ensures I am challenged but having fun. I feel so confident in myself now and boast to my 3 adult 'kids' that I am fitter than them. You see Abi is not your average personal trainer; she is a trained professional and her programs are designed for her clients to achieve their goals.